Please click on the button below to pay your tuition or registration fees online. 2019-20 Confirmation Letters have been emailed....check your "SPAM" if you have yet to receive the email. 2019-2020 Pre-enrollment Information click here. Young 5's and 4 day Fours are almost full in Strongsville. 2018 - 2019 we are still accepting registrations. Click here to Pre-Register ON-LINE now and we'll try to fit you in to a great class. NEW PROGRAM - Interested in extending your child's Preschool Day with social and educational time? Ask your Teacher about "Lunch Bunch". BEFORE/AFTER SCHOOL? There are a few spots available...give us a call to check availability. North Royalton Busses pick-up and drop-off at our locations. Middle School kids just walk (escorted by teachers) across the street to The Club Next Door. The Enrichment Center of Wishing Well is our daycare facility that was built in 1994. The Enrichment Center focuses on providing children with a safe, secure and nurturing environment so you, the Parents, can be at ease when your children are “in our hands”. This setting, along with our progressive curriculum keeps the children occupied throughout the day. Our approach helps prepare children socially, emotionally, physically and academically. Just ask around or better yet, stop in for a visit. No appointment necessary. Wishing Well Preschools has focused on Kindergarten preparation since 1973. Our developmental readiness curriculum is appropriate for the child's age and stage of development. This approach helps to promote educational success. The program also stimulates creativity, facilitates play and builds confidence, yet allows for maximum flexibility with children of diverse developmental levels. The Club Next Door is a great place for our "older" kids, 9-12 years old, to spend time after school and/or during the summer. 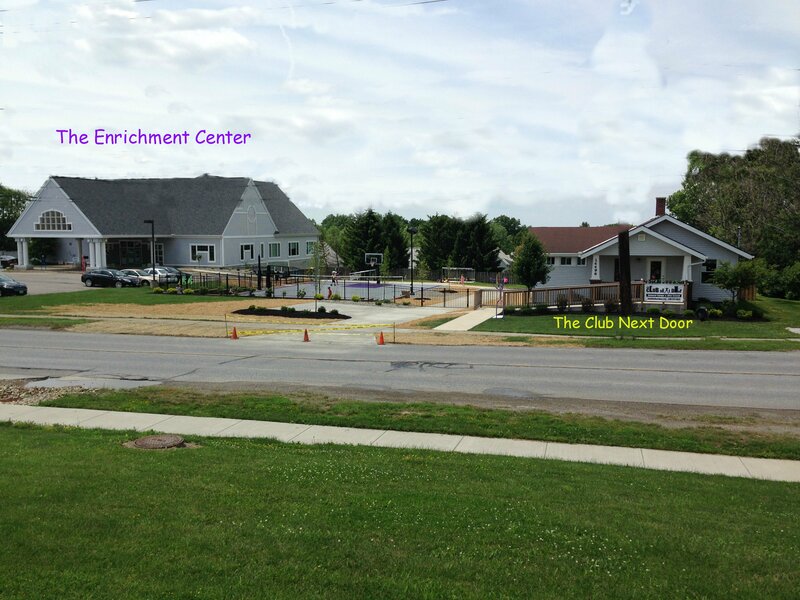 The Club is literally next door to The Enrichment Center so it's an integral component of our Campus. Here's a picture. The Club uses North Royalton School buses to drop the kids off at our door. Middle School students simply walk across the street (escorted) to The Club. The Club is open until 6:30 during school days and also available for snow days and holidays. So, you can depend on us to provide a fun and safe place for your child to hang out after school.